Depending on your country's laws, or your personal business practices, you might need to collect photo identification from your guests. With Signature, the process of retrieval and review of guest IDs has never been as simple. 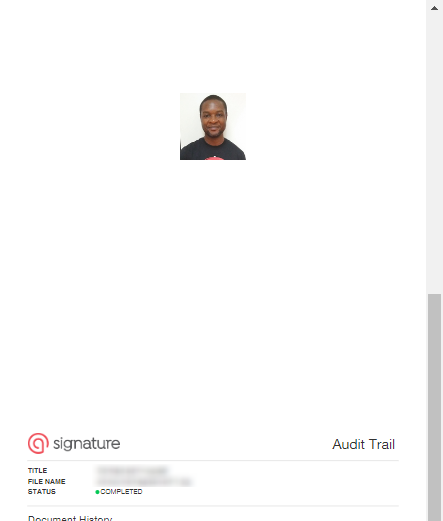 When uploading or editing a template, select the Require signer to upload photo identification option if you want to request photo identification with your signed template. In the inbox, click on a completed template, and scroll down to the second-to-last page in the template preview. It will be the page before the Audit Trail. The guest photo identification can be printed out along with the rest of the completed template.